If you love Jan Brett's The Mitten as much as we do, here are some fun Wixie ideas for primary learners that connect to this wonderful winter story. 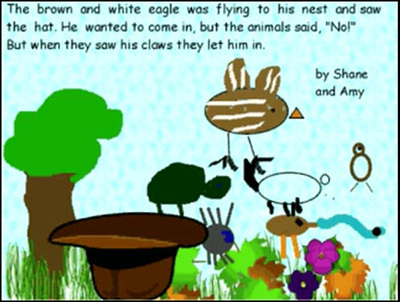 Students can use Wixie’s tools to combine text, images and voice narration to create their own response to the story. Teachers can also use pre-made activities in the Wixie curriculum library that connect to the story or have a winter theme. In Kindergarten and grade 1, the Common Core Standards for Reading: Literature include retelling and identifying major events (K.2, K.3, 1.2, 1.3) and in grade 2, they expand to include describing the structure of a story (2.5). In Kindergarten, you might simply have students open a blank page, paint a picture, and record narration to describe what happened in the story. In first grade, you could use a Character, Setting, and Events organizer and ask for text and image-based answers. 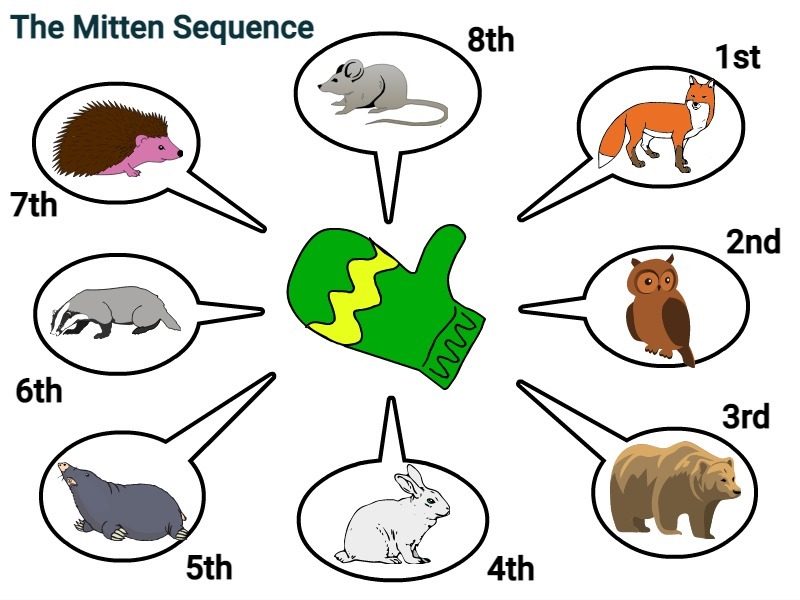 In second grade, you could use the pre-made The Mitten Sequence template from Wixie’s Activities to have the students recall the order in which animals entered the mitten. When The Mitten Sequence activity opens, it automatically displays clip art from The Mitten folder in the Library panel. You can find clip art for The Mitten and other common picture books in the Books folder in Wixie's library panel. This makes it easy to create your own activities that connect to content in the story. 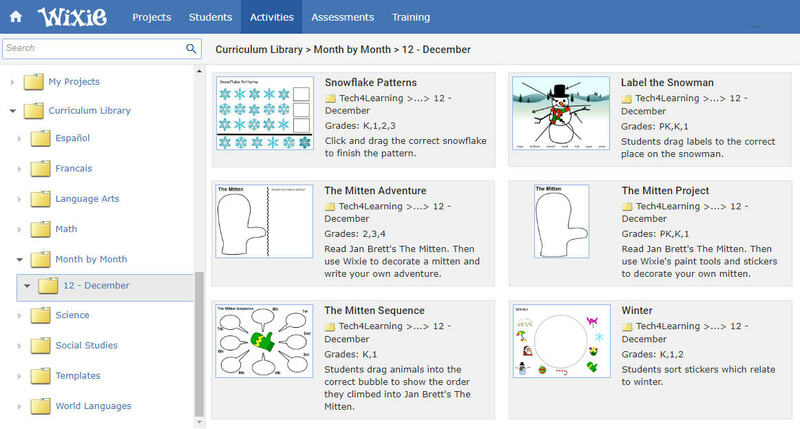 Wixie’s curriculum library also includes several pre-made activities that have a winter theme or connect directly to Jan Brett’s The Mitten. To find these activities, log in to your teacher account, and open to the Activities tab, and browse the December Month-by-Month folder in the Curriculum Library. You can also find connected activities by typing words like mitten, winter, and snow into the Search field. In elementary grades, you can even challenge students to change the context. For example, students in Melissa Aspinwall's classroom in Georgia read Jan Brett's story and wrote their own story entitled The Adventurer’s Hat to share information about the animals found in Georgia’s woodland habitat. No matter what you choose, you can use Jan Brett's The Mitten as a jumping off point for students to create work that demonstrates their knowledge and understanding as well as expresses ideas they have as a result of reading this fantastic book.